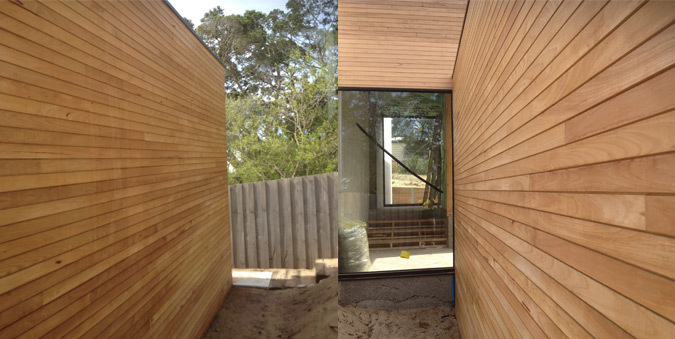 Grant Knibbs wanted timber that would suit his beachside block in Blairgowrie. Knibbys was after something that would naturally fit with the area and comply with Bal 29 fire requirements. Sandy dunes and Moonah trees being the predominant natural features. We agreed that Silvertop Ash for the cladding would suit well. It’s light tones naturally weather quite quickly and it ticks all the boxes for durability and fire resistance. We went with Blackbutt 86 x 19 deck. 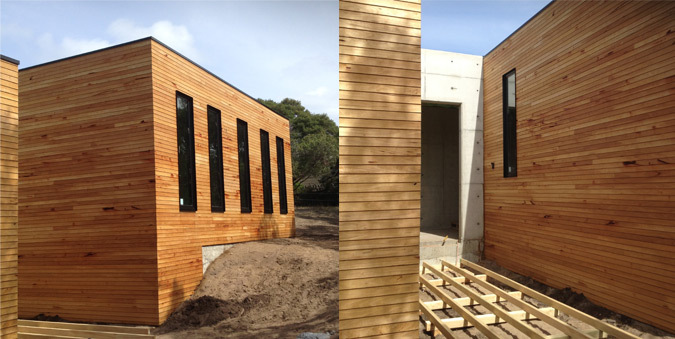 It’s another durable, fire resistant, light coloured timber that marries well with the local environment. Knibbsy chose a 70mm cover cladding profile principally so that he could use concealed fixings without worrying about the boards cupping or twisting. We suggested he use self drilling stainless deck screws for both decking and cladding to save labour time and so the screws didn’t rust being so close to the ocean. They worked a treat.